“If men were angels, no government would be necessary. If angels were to govern men, neither external nor internal controls on government would be necessary. In framing a government which is to be administered by men over men, the great difficulty lies in this: you must first enable the government to control the governed; and in the next place oblige it to control itself. A dependence on the people is, no doubt, the primary control on the government; but experience has taught mankind the necessity of auxiliary precautions” (James Madison, Federalist No. 51, 1788). The power of making treaties is, plainly, neither the one nor the other. It relates neither to the execution of the subsisting laws, nor to the enaction of new ones… Its objects are CONTRACTS with foreign nations, which have the force of law, but derive it from the obligations of good faith” (Alexander Hamilton, Federalist No. 75, 1788). The principles of separation of powers and checks and balances ingrained in the Constitution help to protect the people from government overreach and the internal government actors from overstepping their own powers. Checks and balances were built into the new government’s power to direct and control foreign affairs. The president would be the nation’s “Chief Diplomat.” Though those words do not appear in the Constitution, it is undisputed that the president represents the country on the world stage. But his power in this role was not meant to be unchecked. While the president can negotiate treaties with other nations, he needs the “advice and consent” of the Senate. Further, the House of Representatives has the power to appropriate any funds needed to bring treaties into effect. The president would be the nation’s “Chief Diplomat.” Though those words do not appear in the Constitution, it is undisputed that the president represents the country on the world stage. But his power in this role was not meant to be unchecked. 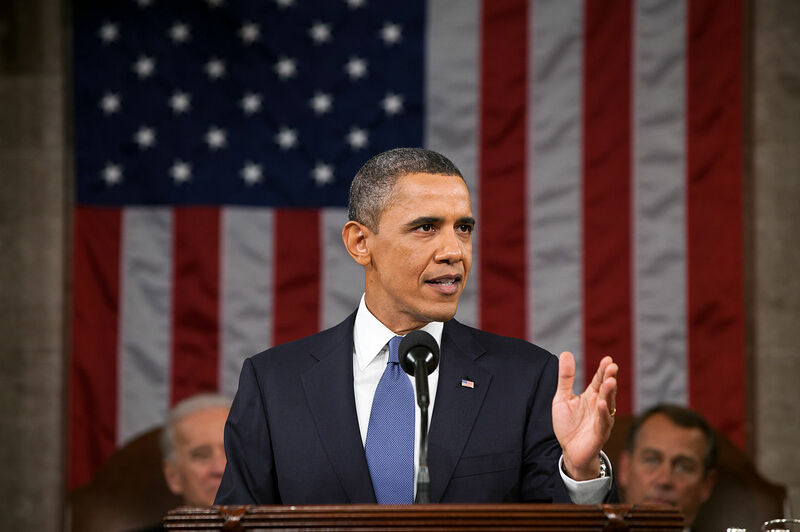 Although the Constitution defines roles for the president and Congress in the arena of international relations, the balance of power between the president and Congress has been in play throughout American history. As the nation’s first president, George Washington set several precedents related to the chief executive's power to guide foreign policy. One of the first appearances of America on the world stage was a small part in the war that took place between revolutionary France and Great Britain. France was on the brink of a bloody reign of terror, having overthrown its monarchy and beheaded its king and queen. Thousands of French citizens would soon die at the guillotine. Yet support for France was still strong in the United States. Despite the bloodbath, many sympathizers with the Revolution—the Jeffersonians saw hopeful signs of popular government spreading across the Atlantic. 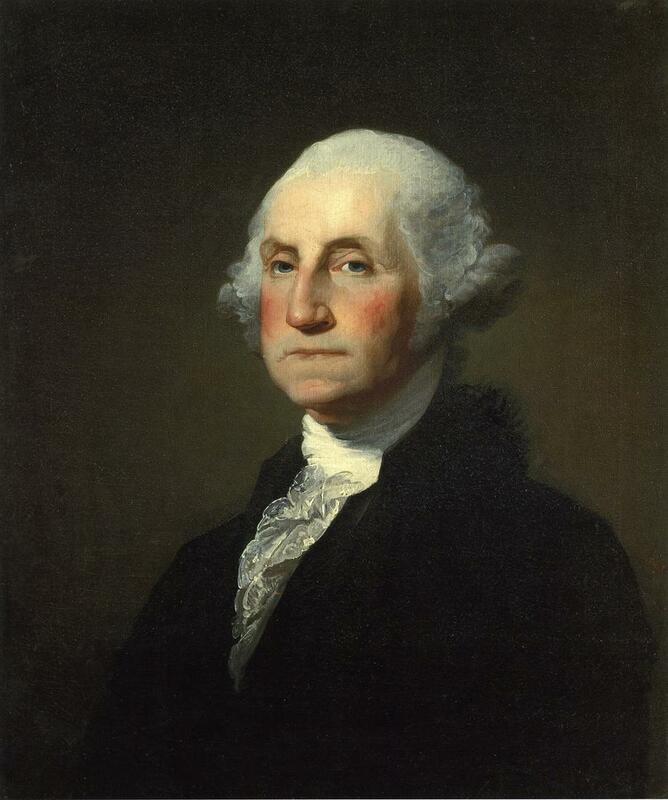 As the nation’s first president, George Washington set several precedents related to the chief executive's power to guide foreign policy. Alexander Hamilton, writing as Pacificus, defended Washington’s action, asserting that unless war was declared, the president had a responsibility to keep the country out of war when possible: “A Proclamation of Neutrality... is a usual and a proper measure... [for] a Country whose true interest lies in the preservation of peace” (Alexander Hamilton, Pacificus No. 1, 1793). This early debate between two Founding Fathers—and the larger political community—about the definitions and limits of power was a sign of the growing partisanship in the early republic. The debate was not settled then; if anything, it began to intensify. Throughout the Civil War, Lincoln stood on the principle that the war was not international—that it was one nation's internal conflict, not between two nations. The United States did enter into an international conflict—World War I—in the early twentieth century. 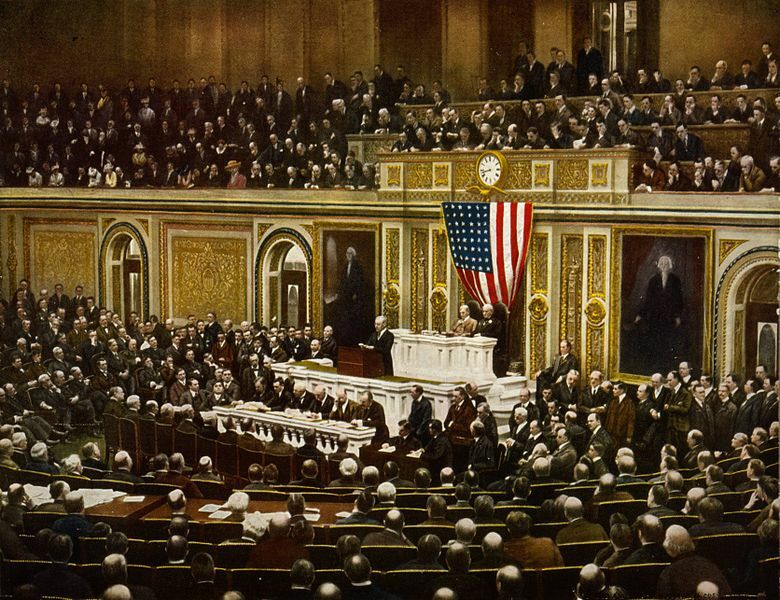 Although President Woodrow Wilson ran for reelection in 1916 with the slogan “He kept us out of war,” he asked Congress for a Declaration of War in 1917 to “make the world safe for democracy” (Woodrow Wilson, “Speech to Congress,” April 2, 1917). By the end of World War I, President Wilson negotiated with the leaders of the Allies against Germany to write the Treaty of Versailles. He was forced to make extreme concessions from his peace plan, the Fourteen Points, based on the principle of the self-determination of nations. He remained confident in the League of Nations—one of his Fourteen Points—to fix remaining problems in the treaty. Back in the United States, however, he was disappointed to learn that some senators, led by the Republican Henry Cabot Lodge, were strongly opposed to joining the League of Nations, and the treaty was rejected by the Senate. Wilson’s uncompromising attitude neither sought nor accepted the Senate’s advice on the treaty, and for the first time in American history, the Senate refused to ratify a peace treaty negotiated by the president. Ronald Reagan and the Cold War Later presidents would continue to exercise leadership in the role of guiding the nation’s international relations, with varying results. One of the most successful “Chief Diplomats” was President Ronald Reagan, who helped to bring about the end of the Cold War with the Soviet Union. While his three predecessors had to varying degrees pursued détente (seeking to conciliate with the Soviet Union), Reagan preferred to seek peace through strength. He wanted to bring the evils of communism to light, and through an arms race sought to expose the weaknesses of the Soviet’s centrally-planned economy. One of the most successful “Chief Diplomats” was President Ronald Reagan, who helped to bring about the end of the Cold War with the Soviet Union. While his three predecessors had to varying degrees pursued détente (seeking to conciliate with the Soviet Union), Reagan preferred to seek peace through strength. In 1987, in a speech at the Berlin Wall separating the free part of Berlin from Communist East Berlin, he challenged Soviet Premier Mikhail Gorbachev to “tear down this wall,” highlighting the evil of a government that had to trap people like caged animals. 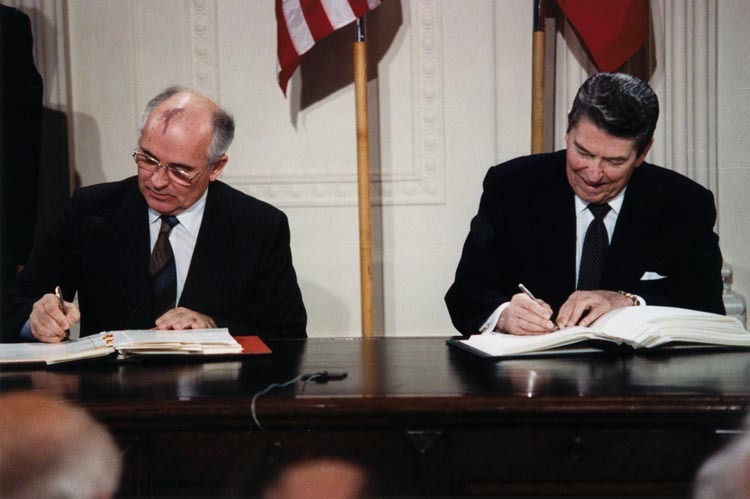 The Cold War came to an end three years after Reagan left office when the Soviet Union collapsed in 1991. Reagan’s actions highlight the many means the president has to direct the nation’s international relations.